This one happens to be the first device I got in my collection, I got it NIB (which is kind of rare for a device of this age) it's tough to activate (thick plastic membrane) and resetting it is not easy at all. Nice! It's always good to see foreign fire alarm equipment, since most of us here are from the United States and Canada. 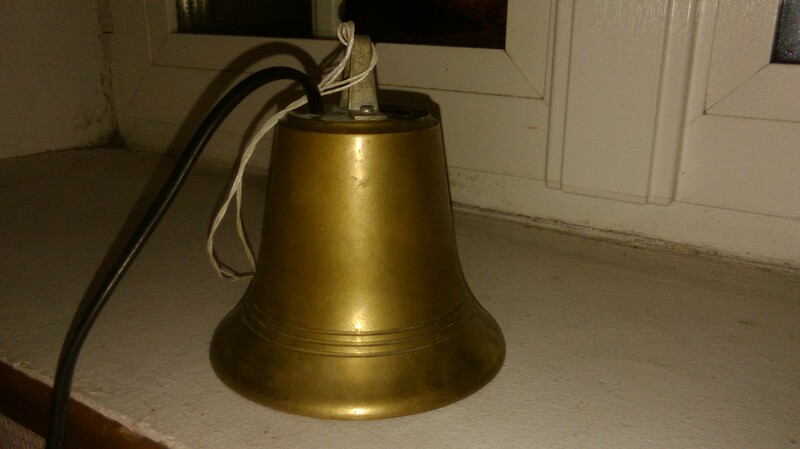 Nothing special, just a very loud vibrating bell. These are also used for general signaling purposes, this particular unit came from my old school. 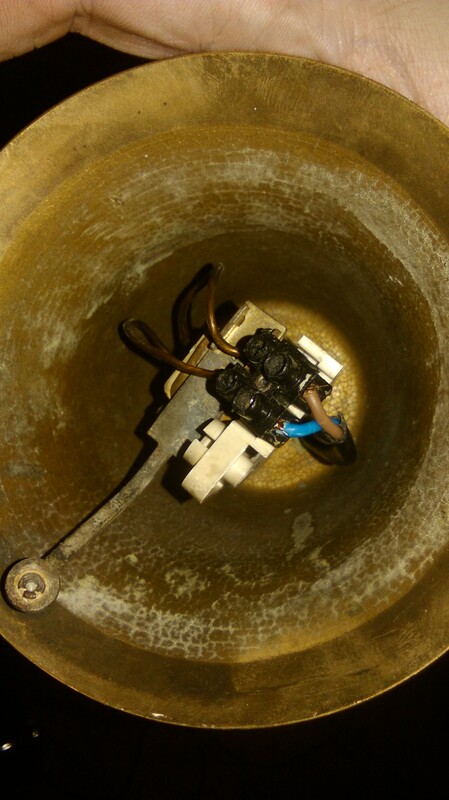 It served as a class-changing bell before being replaced during renovations and it still works. Nice equipment you have here so far! I can't wait to see more stuff that you get! I found this common (in the USA and Canada) detector in a garage sale... It's kinda rare to come across one in Europe! Older varient of the I.SCAN+ O-IV... untested too. This particular version doesn't have volume control (prohibited by NF-SSI), I have two of these... those are deafeningly loud... I killed my 12VDC power supply while testing one. Nice to see that your collection is growing up so well! Great job on it! Simplex 4051 wrote: Nice to see that your collection is growing up so well! Great job on it! Oh there's more to come I might get a panel soon or sooner. Well I hope that you can get it and show it off soon because panels from foreign countries are bound to be really cool! It's not very often that I see overseas signaling devices. I didn't even know that Chubb Security rebranded Edwards detectors. You've got a sizeable collection and I do look forward to seeing more! kevtistic wrote: It's not very often that I see overseas signaling devices. I didn't even know that Chubb Security rebranded Edwards detectors. You've got a sizeable collection and I do look forward to seeing more! I no longer have the KAC Chubb MCP (gave it to another person that I know), also about the panel that I'm about to get, it's gonna be tough to get one, since panels pop up often on Leboncoin (French equivalent of Craiglist) but they're often overpriced (even panels that clearly have damaged components such as corroded boards due to battery leakage). Picture is fairly large, I apologize for that inconvenience. That collection that you have is very nice! I really think you are gonna have a great collection! Wonderful job! Cool stuff! 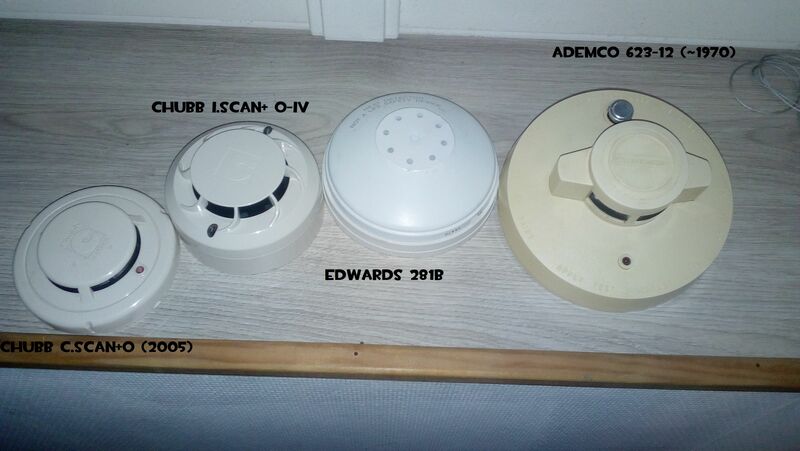 Do they have standalone sounders in France or are they always in smoke detector bases? Robert A wrote: Cool stuff! Do they have standalone sounders in France or are they always in smoke detector bases? Edit: about the sounder bases, I haven't seen any but I know there are flashni bases, but most of the time standard bases are preffered.